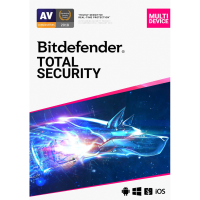 Bitdefender Total Security 2019 is the company's full-strength, no-compromise security suite. 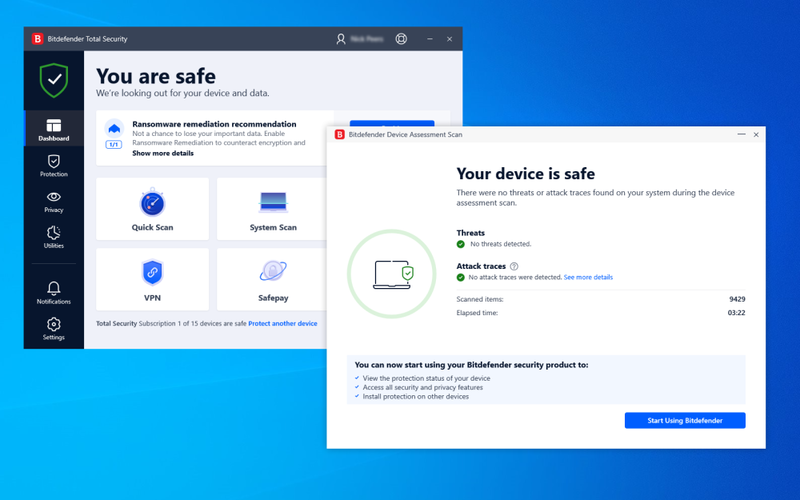 The suite has the same core features as Bitdefender Internet Security, a powerful mix of antivirus, firewall, browsing protection, parental controls, anti-theft system, encryption and password manager. New features include a Webcam Protection module which notifies you when apps try to access your webcam, and blocks unauthorised usage. The "Safe Files" modules protects selected files from unauthorized changes. Includes a 5-Device, 3-Year licence.